I first came across Jamie Brazie on Instagram. 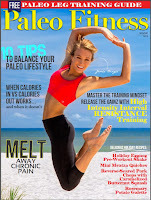 At the time, I was editing Paleo Fitness Magazine (all 6 issues are now available as an ebook btw) and we were promoting the #paleofitnessarmy hashtag. I was checking the hashtag for people to feature in our social media shout out page, and one of Jamie's photos came up. I noticed that she was a fellow Floridian and I thought it would be cool to feature a local paleo girl. 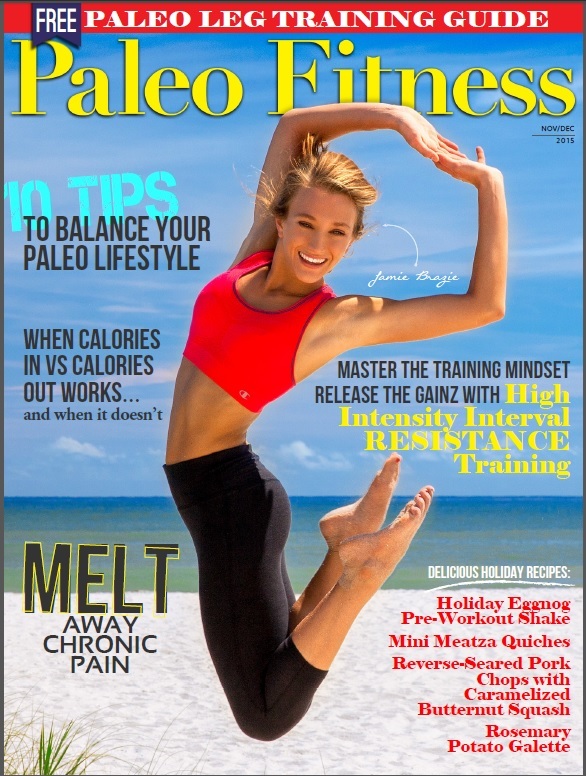 When the issue ran, I let Jamie know about the shout out, and that started up a conversation that led to Jamie being featured as a cover model for Paleo Fitness Issue #4. Jamie's and her husband are now living out in the Pacific Northwest, but she is still bringing that Florida sunshine and sharing the message of health out west. Her blog The Primal Pickle features recipes, videos, and contact information if you'd like to work with Jamie as a health coach. Her guest article today presents and interesting connection between Paleo and the environment. Meat eating, as advocated by Paleo experts, is supposedly bad for the ecosystem, but is that true? Continue reading to find out! Hello Everyone! In this post I want to go over how living a paleo lifestyle has given me a much better understanding of what sustainability really is, and how our ecosystem operates and functions via what we eat! I have been living a paleo lifestyle for over four years now and I feel that one of the many things I've learned since being paleo is how it can actually benefit our ecosystem and promote sustainability! Our ecosystem includes all living things, interacting with each other within their environment. It is a very complex and delicate system and many seem to forget we are apart of it! We know that things like pollution can affect our ecosystem in a negative way, but what some fail to realize is that what we eat has a major impact as well. 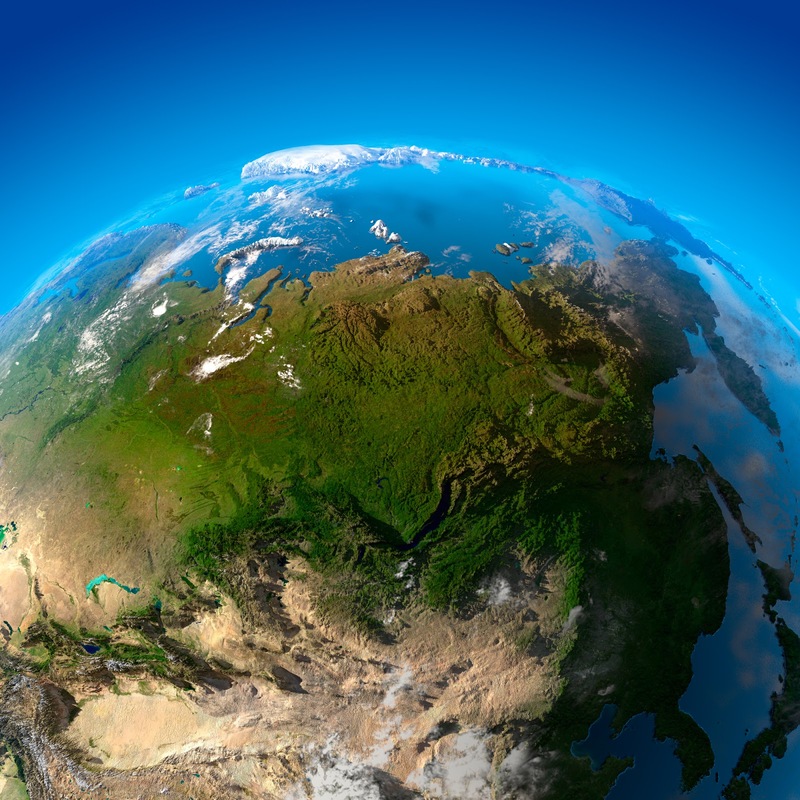 I have heard the argument before, that grazing animals are polluting our planet. Here is why I believe that is wrong. Since being paleo, I have made a continuous effort to only buy meat that is grass fed and organic. 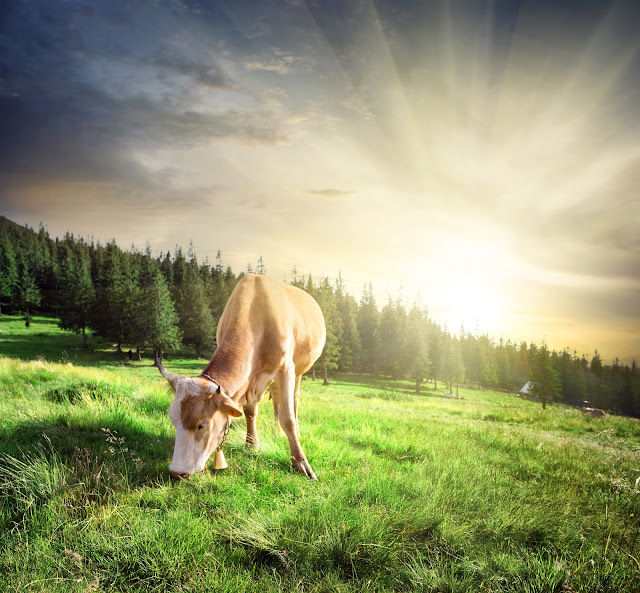 This has made me look more into why grazing animals are better for us and the environment! Grazing livestock that is constantly moving from one place to another has been shown to have tremendous benefits on our soil and grasslands. When you have a large herd grazing on a grassy area, you will find that they are also eliminating waste there too. This causes the livestock to keep moving to new grassy land. The process of grazing, eliminating waste, and then moving to another area is actually preventing one area of grassland from being overgrazed and is promoting the soils fertility. Not only is it keeping one area from being overgrazed, but when the livestock is moving, it is flattening the short grass over the soil which in turn protects the soil and allows it to hold and absorb the rain. This process also helps the soil store carbon efficiently and promotes the breakdown of methane that is produced from the livestocks waste. This is mimicking nature, preventing desertification (when fertile land becomes desert), improving our ecosystem, and promoting sustainability. Please keep in mind here that I am NOT talking about factory farms, as they do not mimic nature nor are they sustainable! Being paleo has shown me that quality really matters, not only for your health but for the environment too. I highly recommend watching this TED talk from ecologist Allan Savory if you want to better understand the positive role grazing livestock has on our ecosystem. Since living a paleo lifestyle I have better understood why biodiversity is so important in an ecosystem. All you have to do is look at a forest, or any untouched lush land and see that there is no one type of plant growing in that area. Our ancestors hunted and gathered food that grew naturally in their environment. They definitely didn't stumble across acres upon acres of corn fields! Monoculture is basically when only one single (mono) crop is being produced over a large spread of land. There is no ecosystem with monoculture. Most monoculture farms you see look dead and lifeless. This really hurts our soil by depleting it of nutrients, which is making our food less nutrient dense and is a big reason we are so deficient in certain vitamins and minerals! 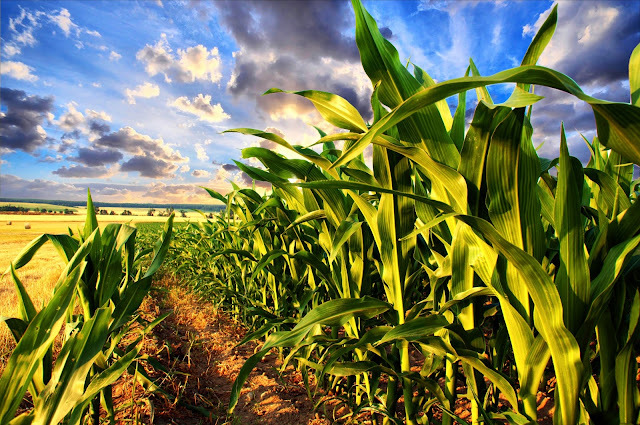 Many monoculture “farms” use harmful pesticides due to the lack of rotation of crop, which helps keep pests away. They usually have some sort of “run off” system, that drains all the pesticides and herbicides into ditches which eventually makes it into large bodies of water like rivers and oceans. It’s obvious that this is not a sustainable way to be producing food and is contributing to the destruction of ecosystems. Need I say more? When there is biodiversity within a farm, there is life! This ensures that all living forms have a role to play within their environment and can even protect many species from extinction. It simply boils down to mimicking nature! A great resource for more on monoculture and factory farming is, “The Omnivore’s Dilemma” by Michael Pollan. Check it out! All in all, paleo has not only improved my health, but has also made me realize how much of an impact eating this way can improve this beautiful earth! By eating a real human diet (omnivorous/paleo diet), we are contributing to the ecosystem. We are apart of this cycle of life. By eating or living a lifestyle that is not apart of our biology and the ecology of this earth, we could really be damaging our ecosystem and creating a less sustainable environment for ourselves and all other organisms we coexist with.